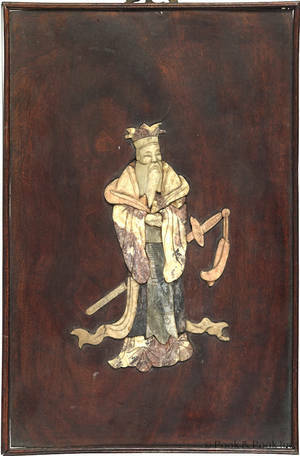 Chinese (Qing Dynasty), 19th century. 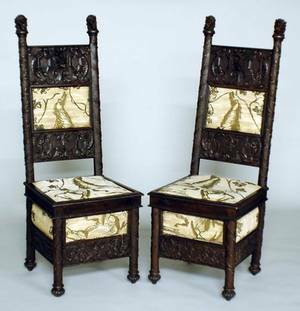 Stained hardwood elm armchairs or throne chairs with cloud scrolls on top rail above geometric abstracted bird faces with scrolled bodies. 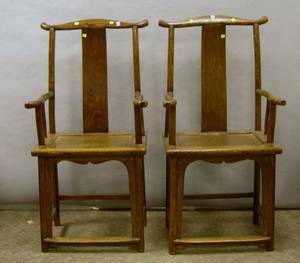 Chairs with rectangular legs joined by box stretcher. 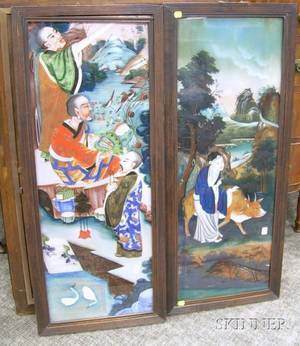 Height 37.75", width 23.6", depth 18.75". 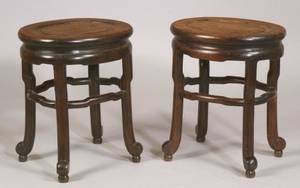 Seat to floor 19.25". 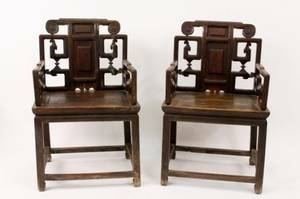 Pair of Chinese Hardwood Armchairs. 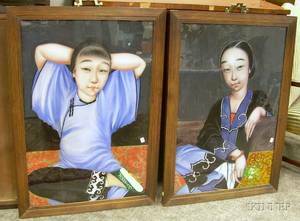 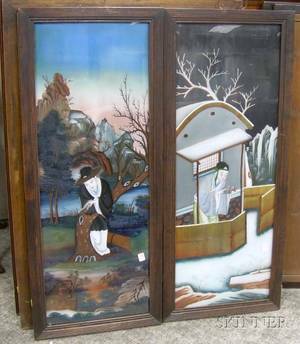 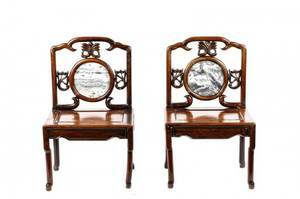 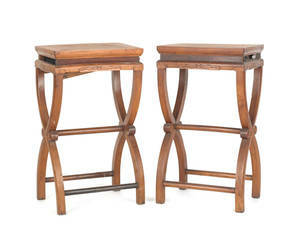 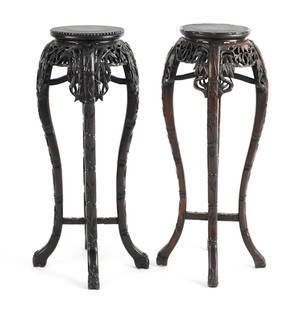 Pair of Chinese Hardwood Oval Stands.